This walk is snowbound in winter, between June and October. You can cross-country ski or snowshoe, but there are no snow poles marking the route. 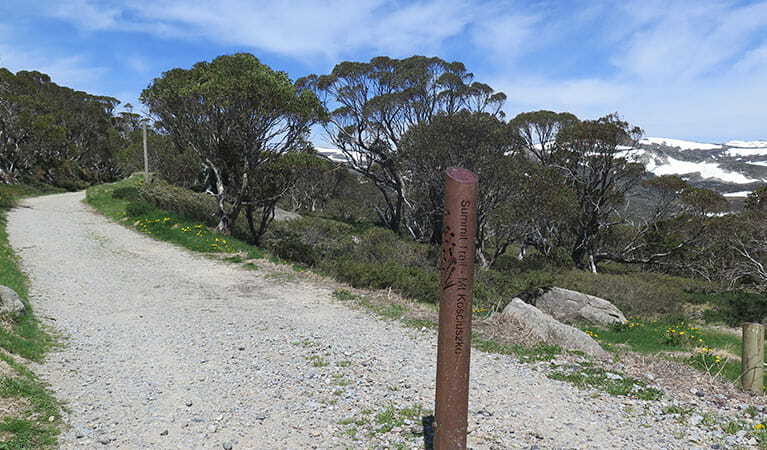 Private vehicle access is closed between Perisher and Charlotte Pass in winter. 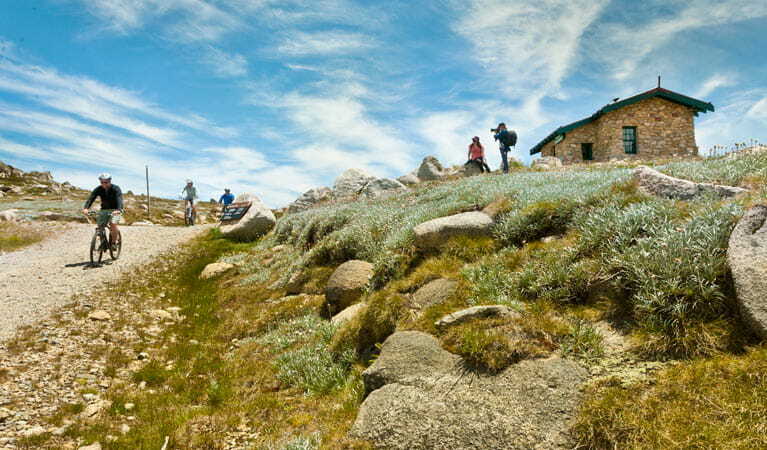 The track from Rawson Pass to the summit of Mount Kosciuszko is accessible by foot only. Mountain bikes and fat bikes are permitted only between Charlotte Pass and Rawson Pass, where there are bike stands. Riders please give way to walkers. It's a good idea to bring a topographic map, compass and GPS, and read our alpine safety tips before you set out. Fill in the free trip intention form and hire a PLB from the Snowy Region Visitor Centre or Perisher NPWS office. 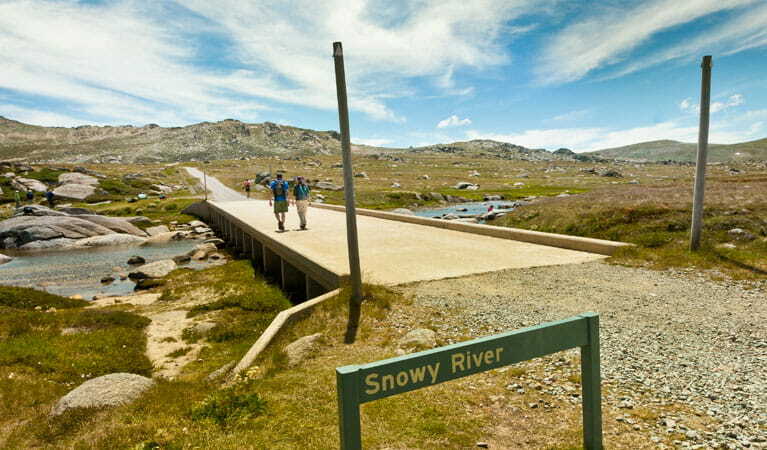 Around 4.5km from Charlotte Pass the Snowy River offers a scenic spot for a picnic. 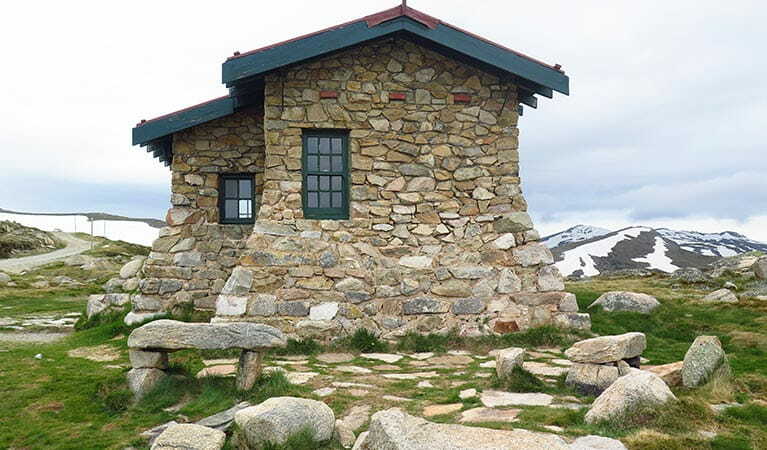 Cross the river and continue your walk or ride as the track winds slowly up to Seaman's Hut, which was built in 1929, before carrying on to Rawson Pass. 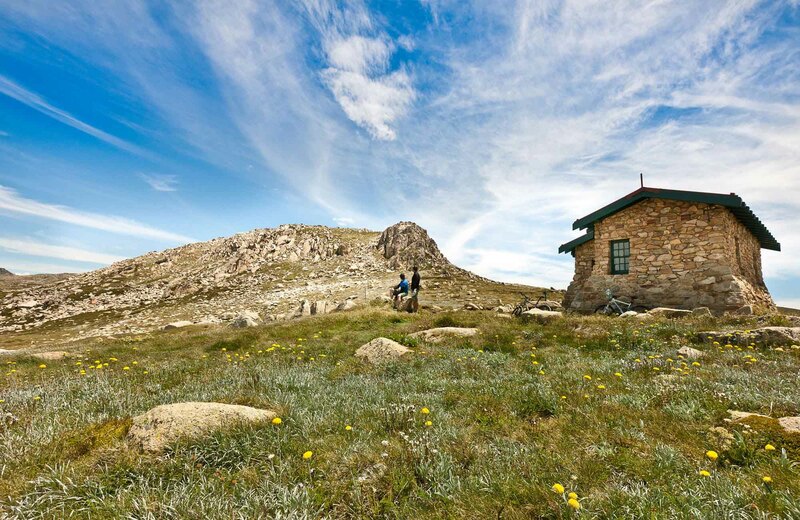 If riding, leave your bike at Rawson Pass (bike stands are available) and walk the 1.4km to the summit of Mount Kosciuszko (2228m). 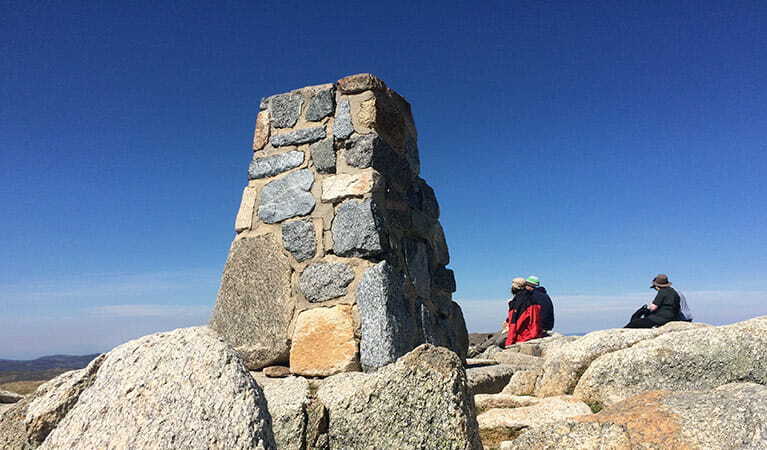 Take a virtual tour of Mount Kosciuszko Summit walk captured with Google Street View Trekker. Everest is tall, but at 60 million years old it’s just a baby compared with Mount Kosciuszko which is an unfathomable 440 million years old. 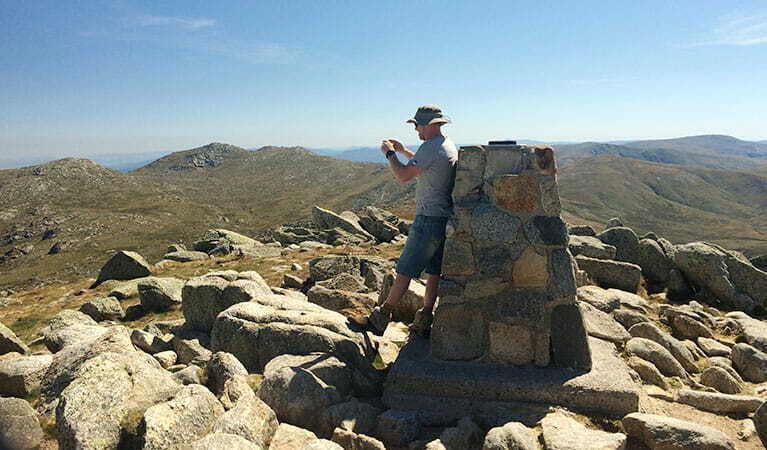 This group of peaks within Kosciuszko National Park make up Australia’s 10 highest.